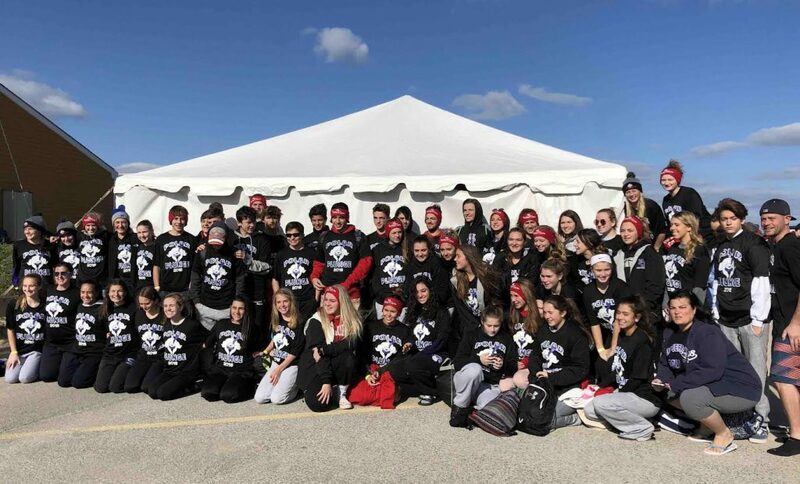 A record number of 55 members of Earl L. Vandermeulen High School’s Varsity Club attended the Town of Brookhaven’s annual Polar Plunge recently held at Cedar Beach in Mount Sinai to benefit the Special Olympics. They collectively raised $9,450 through their fundraising efforts. The Varsity Club members and their advisers, teachers Jesse Rosen and Deirdre Filippi, engage in projects centered around athletics and also run school-organized events and activities that help to raise money for various service-minded organizations. “We are so incredibly proud of the student’s efforts,” Mrs. Filippi said of the students continued interest in positively helping and influencing people around them while challenging themselves in the process. Photo caption: The Port Jefferson School District Varsity Club celebrated their participation in the annual Town of Brookhaven Polar Plunge at Cedar Beach in Mount Sinai.